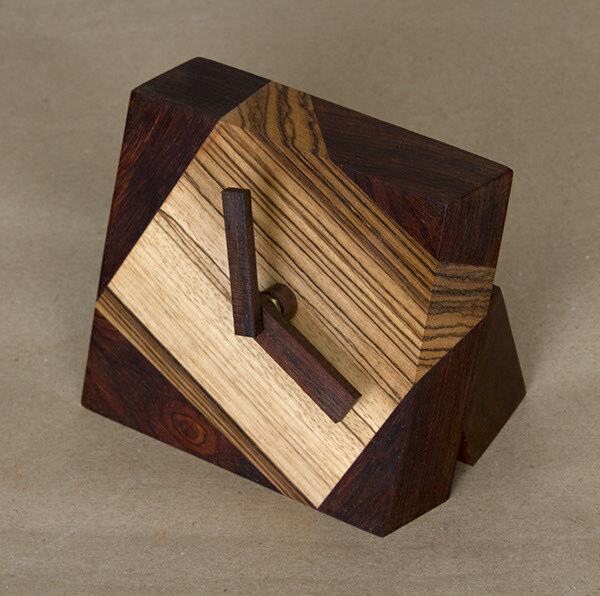 This face of this clock consists of a slanted square piece of zebrawood; coco bolo surrounds the edges to provide the necessary foundation of a solid design. 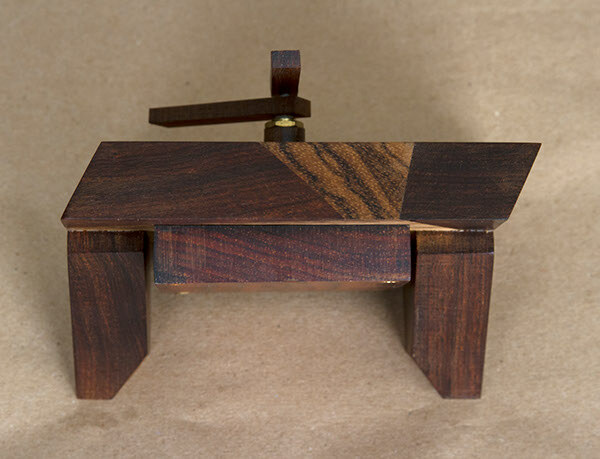 The angle of the wood forms an asymmetry that contrasts with the precise nature of the construction to show that even within the rigidity of time, interpretations are allowed. It is powered by two AA batteries that can be replaced by unscrewing the rear faceplate. 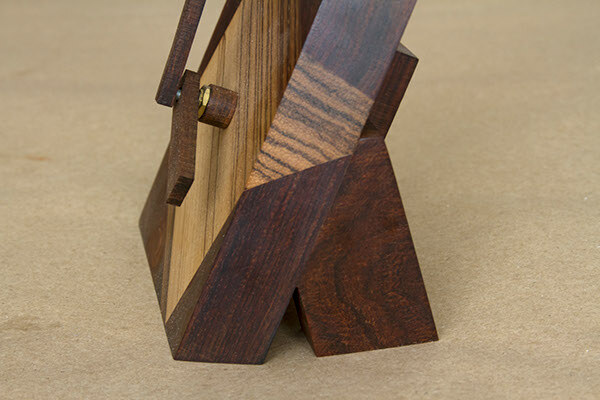 The clock hands are easily interchangeable to fit the material, width, or length desired. 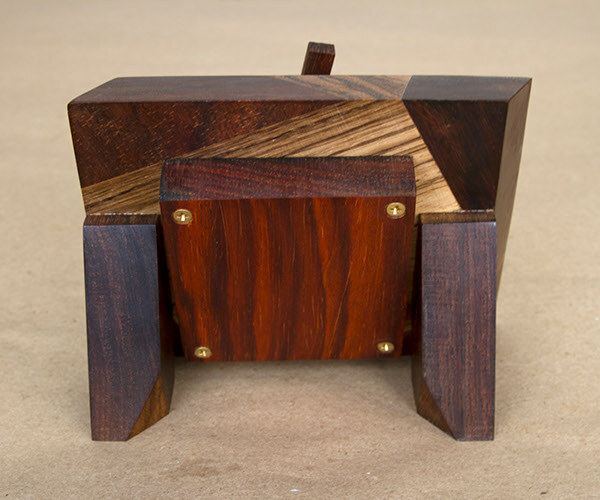 The piece is approximately 6" x 6" x 4".